The Pakistan Central Cotton Committee (PCCC) has announced that 93 new cotton varieties will undergo National Coordinated Varietal Trials (NCVT) in four provinces in Pakistan. The NCVT is the near-end stage of the performance evaluation process of any crop variety before Pakistani authorities make their decision to allow commercial cultivation. 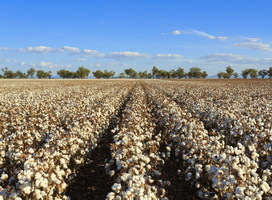 The 93 varieties are composed of 85 Bt and eight non-Bt cotton varieties. 41 of the Bt cotton varieties were developed by the public sector and 44 by the private sector. The NCVT aims to assess the cotton varieties' production capability and fiber qualities in accordance to Pakistan's 2018-2019 research plan. The announcement was made during the Agriculture Research Committee Meeting in Multan. Cotton Commissioner Dr. Khalid Abdullah also said during the meeting that scientists are encouraged to employ biotechnology to make the cotton more profitable and resistant to threats such as pests and diseases, notably the pink boll worm. Read more from the Cotton Textiles Export Promotion Council's Information Bureau.